MultiScanner® A200 is a multi-purpose tool complete with edge and center stud finding and metal detecting capabilities. Equipped with a 3-mode switch, the A200 is able to smoothly transition between scanning modes. 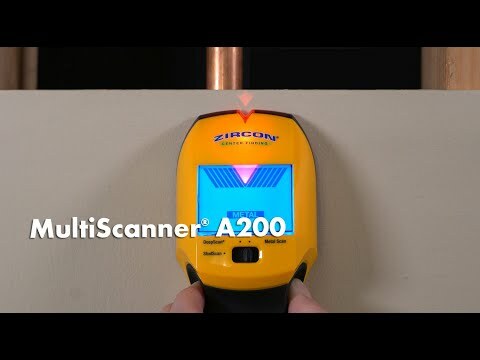 This tool’s dedicated Metal Scan Mode locates metal targets up to 3 in. (75 mm) deep. The SpotLite® Pointer, ultra-bright LCD display screen, and audio tone indicate the location of the specified target.